Hungary’s main opportunities for advancing ties with Kazakhstan lie in the oil industry, agriculture and water management, Foreign Minister Péter Szijjártó told MTI on the sidelines of his talks in Astana on Monday. Szijjártó is on a tour of Central Asia as part of preparations for Hungary’s takeover of the rotating presidency of the Visegrad Four group, which also includes the Czech Republic, Poland and Slovakia. The minister said advancing ties between central Europe and Central Asia will be one of the most important tasks of the Hungarian presidency. After years of negotiation, Hungarian oil and gas company MOL has been given an opportunity to begin the exploitation of a major oil field in Kazakhstan together with Kazakh and Chinese companies, Szijjártó said, adding that the oil field could produce 45,000 barrels a day within a short timeframe. 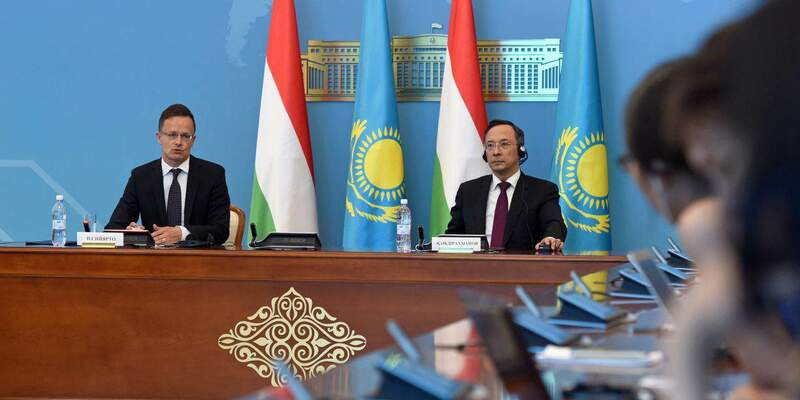 In addition, Hungary and Kazakhstan have set up a 40 million euro agricultural investment fund through which Hungary will export agriculture and food industry technology to the Central Asian country, the minister said. Szijjártó also said that Budapest waterworks Fővárosi Vízművek is in talks to develop and modernise the water management of a number of major cities in Kazakhstan. Urbanisation is moving ahead at a rapid pace in the country and its public works must keep up with the process, he said. The minister said bilateral trade was expanding apace, noting that it had multiplied six-fold in the first quarter of this year. The main reason for this is that Hungary has significantly increased its oil imports from Kazakhstan while also raising its drug exports to the country, he said. Szijjártó also presented the president of the International Turkic Academy with Hungary’s application for observer status in the institution. 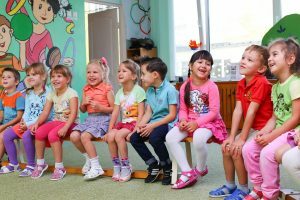 The academy, which was founded in 2012 by Kazakhstan, Turkey, Azerbaijan and Kyrgyzstan, welcomed Hungary’s initiative to join, Szijjártó said, noting that if accepted Hungary would become the first observer state in the organisation. Szijjártó also highlighted the expansion of Hungarian-Kazakh education ties, noting that Hungary has offered scholarships to 200 Kazakh university students. He also expressed Hungary’s support for a visa facilitation agreement between the European Union and Kazakhstan in an effort to boost strategic energy cooperation. Kazakhstan could play in important part in ensuring Europe’s energy security, Szijjártó argued. Hungary and Kazakhstan want to act as bridges in cooperation between the European Union and the Eurasian Economic Union, Szijjarto said, arguing that Europe would only regain its competitiveness if eastern and western Eurasia could work together “effectively and in a civilised manner”. Szijjártó held talks with Kairat Abdrakhmanov, his Kazakh colleague, and Kasim-Zhomart Tokayev, head of the senate. He is later scheduled to meet Kazakh Prime Minister Bakytzhan Sagintayev, Economy Minister Timur Suleimenov and Kairat Kelimbetov, governor of the Astana International Financial Centre. PreviousCurrency exchange – Hungarian Forint – 26.06.2017.